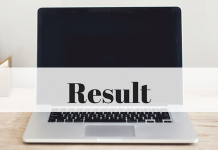 RRB Admit Card for Railway Recruitment 2018 has been released on the official website of Indian Railways, Candidates can download the admit card for the post of ALP and Group D using the steps below. Also, Candidates can check the details about the Railway Recruitment 2018 Drive. Railway Recruitment Board on behalf of Indian Railways announced the recent recruitment drive of Group D and ALP & technician jobs (Group C) on its official website. The railway recruitment board is the autonomous body that is responsible for the recruitment drives and the process for various other Governmental Departments of India and other secretarial offices of India. The RRB 2018 Recruitment drive is in news for the surprising facts. The notification was released this year in early February. The application process already ended by the end of March, the wait of Railway Admit card has been long since. RRB in all has 21 branches all over the country that will be taking care of the recruitment in throughout regions of the country. The regional websites will be providing the admit cards, answer keys, exam centers, of the candidates according to the region to which candidate belongs to. RRB Admit card for ALP will be releasing tomorrow on 5th August 2018. For which the exam is due on 9th August 2018. The vacancy for the ALP & Technician is announced to be around 26,500 which is about to be increased up to 60,000 according to the latest notification by Indian Railways. The number of vacancies is increased due to the increased number of applicants many folds. For the Grade Officer Post (Grade D) the vacancy is already announced to be about 62,907. According to the reliable sources, RRB has admitted that out of 2.5 crores applicants, 75 lakh applicants have been rejected too because of incorrect application or incomplete documentation. Finally, the Railway Recruitment Board has released the Admit Card of Assistant Loco Pilot and Technician. The RRB ALP Admit Card is available on the official website of RRB -indianrailways.gov.in. Candidates can download the RRB Loco Pilot Admit Card 2018 by entering required details (Registration ID, Date of Birth, Captcha Code). The Railway ALP CBT Examination will start from 9th August 2018 to 31st August 2018. The Examination will be held in three phases per day. In RRB Railway ALP Admit Card, candidates can check their Exam Centre/ Venue, and other details related to the Examination. Candidates are advised to download the Admit Card before the date of the Examination. Check further article to get more information about RRB ALP Admit Card 2018. There are 21 RRBs throughout the country. The admit card for the candidates will be published on the regional sites itself. The candidates who have applied can download their admit cards from these websites. The admit card is going to be available 4 days before the exam date that is 5th August 2018, tomorrow. Each candidate will be able to visit the respective regional website and download the admit card. There is no provision of Hard Copy Admit card being issued from the authorities and sending it via Email/ Post/ Courier to any candidate. The exam dates for the ALP exam is on 9th August whereas the Group D examination will be conducting in the month of September 2018. CEN 01/2018 notification for Group C Recruitment was published on 2nd February whereas CEN 02/2018 notification for Group D Recruitment was published on 10th February 2018. The application p[rocedure for both the recruitment drive is already over by 31st of March 2018. The candidates are now waiting for the release of ALP RRB Admit Card. How to download RRB Railways Admit Card 2018? The candidate is advised to take at least 2-3 Xerox copies of the railway alp admit card to avoid any kind of loss or misplacement of the admit card. General Candidates must score 40% marks to clear the examination and be eligible for the next rounds. OBC candidates and SC candidates need to clear the examination with at least 30% marks. The ST candidates minimum pass percentage is 25%. The candidates should read the information brochure for the detailed information. The RRB recruitment follows a certain set of Exam Pattern for the recruitment drive. The exam pattern for the same is being provided specifically for each of the examination. Applicants who have been preparing for the examination can modify it by going through the detail. It must be noted that the detailed information must be collected from the official notification. Group C: The preliminary examination that is being conducted on 9th August will be the first level of the examination. This exam will be followed up by the main examination and for certain posts that are being considered under the Group C will be conducting another round of Online Based Aptitude Test. All the examinations will be online based and multiple choice question type. The final selection will be done by verifying the Documents. The documents that are to be verified are the Caste certificates, Any other reserved category certificate, qualification certificate, medical certificate, etc. Group D: There will be one examination which will be conducted online and will be used to select the candidates based on the online based exam. The next level will be of the Physical Efficiency Test. The candidates must satisfy the required Physical attributes stated by the RRB. The candidates need to be physically fit for the recruitment. The final step will be of Document verification where the authorities will be finalizing the list of successful candidates after verifying the documents. In the First round of Group D (Grade Officer) examination, there is a restriction of negative marking of 1/3rd of mark allocated for the correct answer. 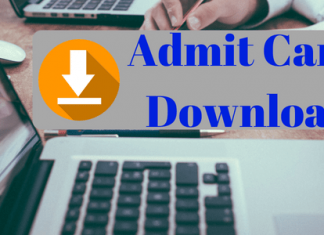 3 How to download RRB Railways Admit Card 2018?